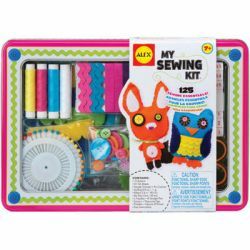 Everything you need to learn how sew in a cute tin! 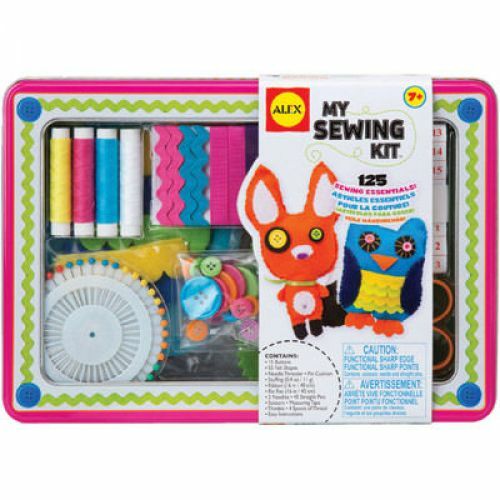 Includes pre-cut felt shapes to practice your skills and over 100 sewing essentials such as buttons, thread, needles and threaded, pin cushion, ribbon, scissors, measuring tape, thimble and much more. Ages 7+.